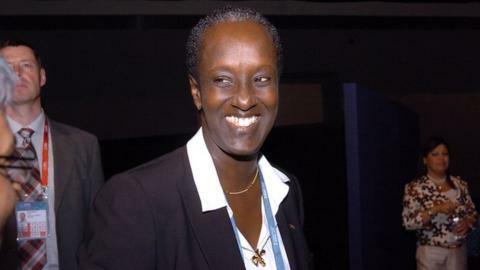 Fifa executive committee member Lydia Nsekera has been ousted as president of the Burundi Football Association (BFA). The BFA said Nsekera was defeated 31-25 by Reverien Ndikuriyo, a parliamentary senator, in a poll held on Sunday. And in a statement released on Monday, Fifa said: "A new president was elected in a fair and transparent process." Observers from football's world governing body and the Confederation of African Football attended the election meeting in Bujumbura. Nsekera had led the BFA since 2004 as one of the few women presidents in the history of world football. In May she was elected to serve a four-year term with Fifa's executive committee and is the the first woman to join the governing body's ruling board. Nsekera, who had been been co-opted to the board in 2012 before being voted in by Fifa's member countries, will continue in the role despite losing her national power base.